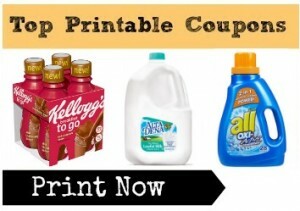 Home > Printable Coupons > New Printable Coupons | all, Ball Park, Hormel, Kellogg’s & More! New Printable Coupons | all, Ball Park, Hormel, Kellogg’s & More! Here are the new printable coupons from today! Print a rare coupon and save on Alta Dena milk below! Be sure and change your zip code and click the link for easy finding.